Of all the "deres", plain old "deredere" might be the most easily overlooked. Maybe because people see it as just the base word for a whole bunch of other classic anime archetypes. 'Deredere' is Japanese for "lovestruck", and of course shortening it to 'dere' and sticking it on the end of something like 'tsun' ('cold, blunt') gives us 'tsundere'. Or sticking it on the end of 'yan' from 'yanderu' ('sick') gives us 'yandere'. Deredere by itself is best translated as 'lovey dovey'. These type of characters usually don't have any complicated affectations or emotional baggage that stands between them and the object of their desires. They express their feelings in a plain and simple way, often in the form of cheerful proclamations of adoration and uncontrollable doting. After confessing her feelings to her crush Umetarou Nozaki by telling him "I'm your biggest fan! ", he misinterprets this as simply enthusiasm for his work as a creator of shoujo manga and ropes her into helping him on the volume he's currently working on. 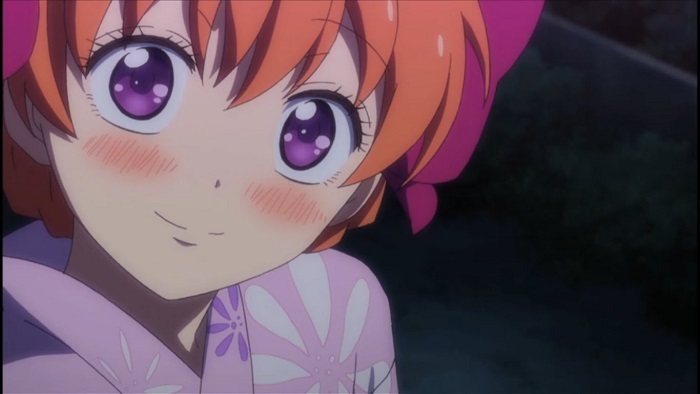 Despite this setback, Chiyo, like all good derederes, soldiers on making lemons into lemonade, her feelings un-quashed and her determination to get close to her crush unabated. It's a testament to how hilariously dense Nozaki is when it comes to romance, given how Chiyo expresses her affection for him. But that only makes her love him more, and [spoiler!] the series gives her arc a satisfying conclusion with the backdrop of a fireworks display, where she says to herself (in true deredere form) she's happy enough just having the chance to be with him, even if he never reciprocates her feelings. There’s something so adorably quirky about two people who are crazy in love with each other even if everyone else can’t understand it. And that’s certainly the case with Rinko Yamato’s love for Takeo Gouda. Instead of falling for Takeo’s pretty boy best friend—who usually gets the girls and is, by all conventions, a studmuffin—Rinko falls for Takeo. It’s an honest and genuine love. 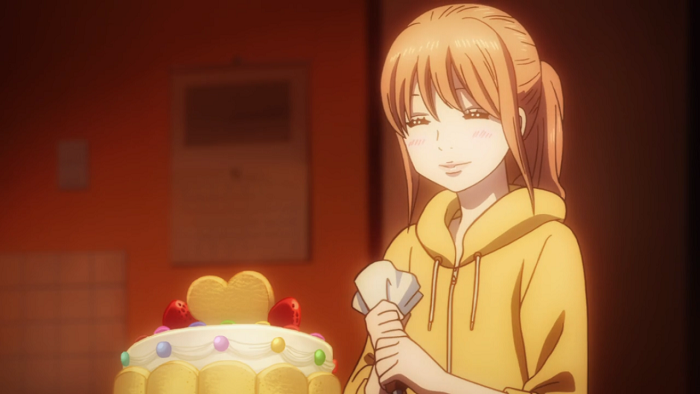 Like the sweet girl that she is, she makes this list for her true and earnest desire to be Takeo’s one-and-only. 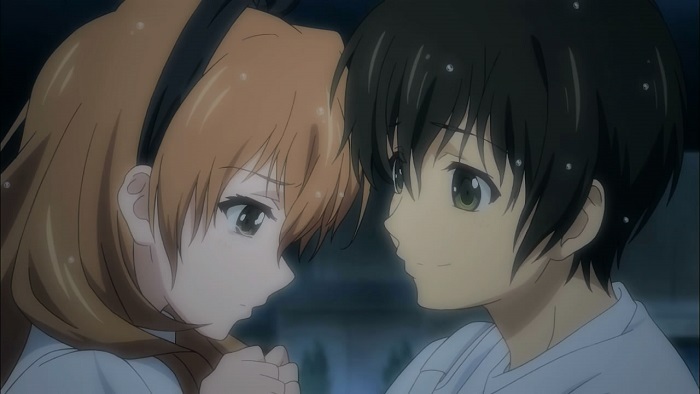 Plus it’s just freaking adorable how they blush just over something so small as holding hands. Even though her obsession with Komari Koshigaya leads to her to make a little shrine of look-a-like dolls, Hotaru Ichijo manages to curb the yandere label as her behavior never strays into violent or crazy territory (well, maybe a little crazy). 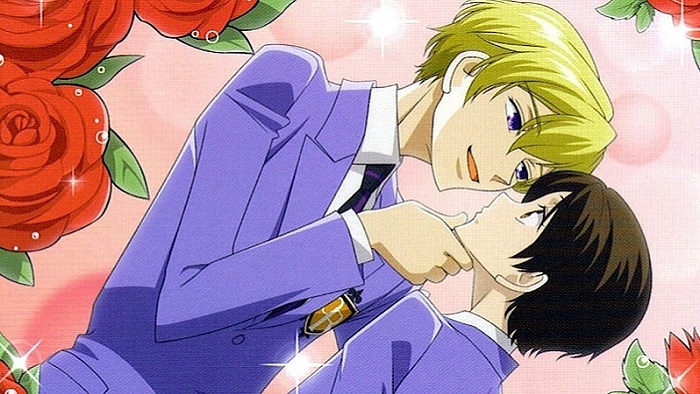 Though they may only be platonic, her feelings for Komari are nothing but sincere. And because it's so goddam adorable when Hotaru goes into her little obsessive moments, we thought this qualified her for this list. One of the best draws for Golden Time as a whole is its setting. It's refreshing to see a romance as cute as that which blossoms between Kouko "Roboko" Kaga and Banri Tada during their college years (rather than your typical high school setting, not that we don't still love those). Of all the characters on this list, Kouko is probably one of the more willing to act on her moments of jealousy. But like all good derederes, it's partly a comedic foible for her otherwise lovestruck character, while it also serves as a demonstration of just how genuinely devoted she is to her feelings. But she also comes with her sweet sides too of course, like the way she insists on shutting off the lights before getting intimate with Banri, all while trying to fight off a wave of vomiting - only to get hit in the head with a falling art piece. If fighting through hurling to get to some kissing isn't dedication then what is! One of the most tragic things in this fleeting life is having that already fleeting life cut drastically short, something which unfortunately happened Meiko Honma, known to her childhood friends as “Menma”. She drowned when she was just a small girl while out playing in the woods with her friends one day in summer, but now her ghost has come back to haunt one friend in particular - Jinta Yadomi - who’d always had feelings for Menma (despite being too cowardly to admit them when she'd been alive). Amid a roiling turmoil of old wounds opening among friends who’ve drifted apart, Menma, it turns out, had always had feelings for Jinta, and would continue to do so even now that she’s dead. [Spoiler!] 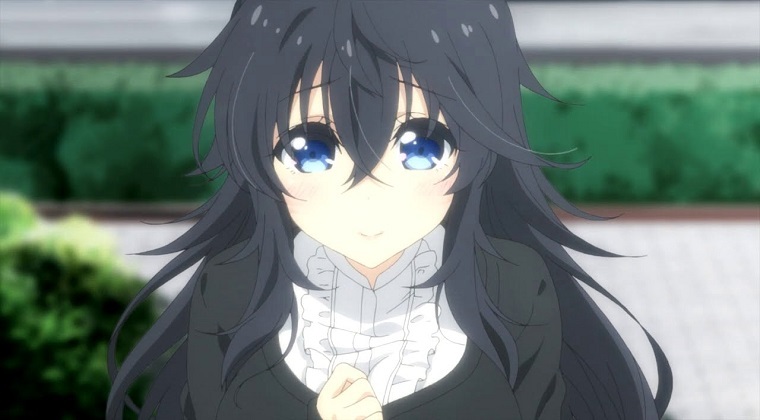 Her last words to him before parting from her friends forever and finally moving on to heaven are, “I love you, Jin-tan. It's the 'I want to marry you!' type of "I love you.” That’s pretty strong conviction from a girl who, having died when she was very young, was unable to really grow up emotionally. And darn it if it doesn’t hit us in the feels every time we watch that last episode, making Menma one of the most bittersweet deredere characters around. 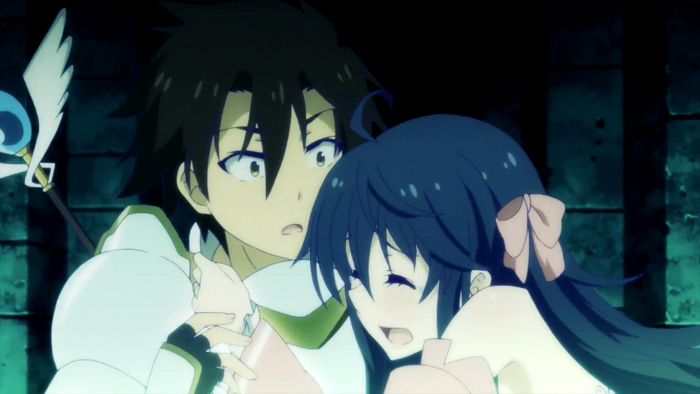 From: Netoge no Yome wa Onnanoko ja Nai to Omotta? Ako Tamaki is probably a little more nutty than most on this list. However, she's a deredere character through and through, and it's easy to see it in the ways she expresses her affection for Hideki Nishimura. Like when he accidentally walks in on her half-naked, so she has him shut the door only to have him open it again so he can see her fully naked. They're married in the game world, but Ako's strange logic leads her to believe that if they're going to be a virtual couple, they might as well be one in real life. 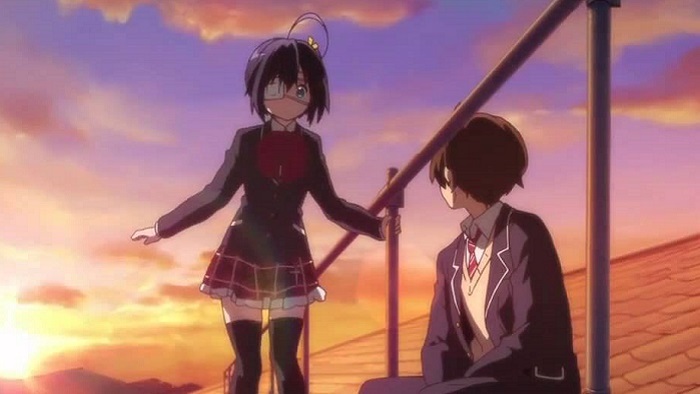 From: Chuunibyou demo Koi ga Shitai! Who doesn’t love a charming odd duck? And Rikka certainly is odd. A lovable klutz, she always strikes a fighting pose whenever she meets someone new, and wears an eyepatch to cover the colored contact lens she refers to as her “wicked eye”. Amazed by Yuuta Togashi as "the Dark Flame Master", she comes to fall in love with him as the series progresses, even with all the noogies he gives her. At first she's shy about expressing her feelings, and though she gets awkward when she works up the courage to express her feelings, eventually she grows confident enough to steal a kiss from Yuuta down a hallway. We think she just qualifies to be on this list. We all know the loli who’s got the bad case of “notice-me-senpai” syndrome. 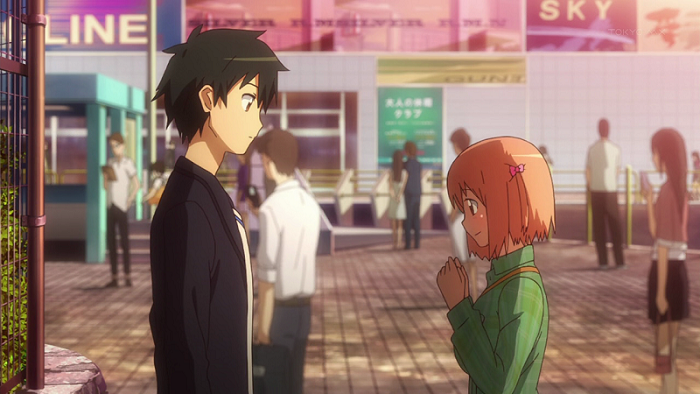 But though Chiho’s crush on Maou Sadao - the eponymous Devil working a part-time job in the human realm - springs from admiration for how well he does his job, and from his seniority to her in age and experience, it grows and remains steadfast throughout the series, even after she finds out he’s the Devil. To her, he’s a hard worker who’s always looking out for his employees (and it’s always nice when she’s the one he’s looking out for). 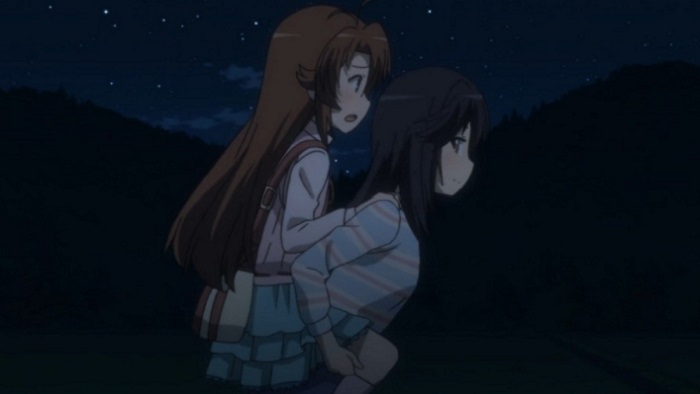 In the beginning she comes off as a crushing lolicon who really wants to be able to take things to the boyfriend-girlfriend dating level with him, even as he seems rather unaware of it. But when things come to a head near the end of the series, and multiple forces from the magical world from which Maou hails are trying to destroy him, Chiho sticks up for him, citing his positive qualities as outweighing whatever terrible things he’s supposed to have done in the past. Like all good derederes, she stays true to her expression of love, even for the Devil himself. The ultimate wish-fulfillment for any boy-crazy girl: the reverse harem. Especially when your main heroine has the princely lead man utterly in love with you practically from day one. But it’s even more satisfying when the main heroine - here it's Haruhi Fujioka- is a bit of the odd-one-out in that she’s not immediately star-struck by Tamaki Suou’s charm and wiles. In fact, she’s quite oblivious for most of the series of his attraction to her, and to how he gets excited by bouts of jealousy whenever another boy appears to moving in to steal her heart away. She even backhands his attempts to get her to dress more like a girl - even though she has to dress as a boy in order to qualify as a member of the Ouran High School Host Club as a means to pay off her debt for the expensive vase she broke in Episode 1. Still, Tamaki is far from deterred, and the climax of the show gives a rather sweet conclusion to this arc that makes all of Tamaki’s efforts more than worthwhile. As the only male character to end up on this list, Tamaki Suou is the epitome of unabashed affection. Anyone who’s seen or knows the premise of Black Butler knows that the idea of Elizabeth Midford and her beloved Ciel Phantomhive ending up together is highly unlikely, if at all. From the very beginning, it's no secret that in the end, Ciel will offer up his soul for his demon butler Sebastian Michaelis once he gets revenge for the murder of his parents. Though Elizabeth is unaware of this, she is, regardless, clearly quite in love with Ciel. As small children, before Ciel lost his parents, they played together often, and back then Ciel was always smiling. 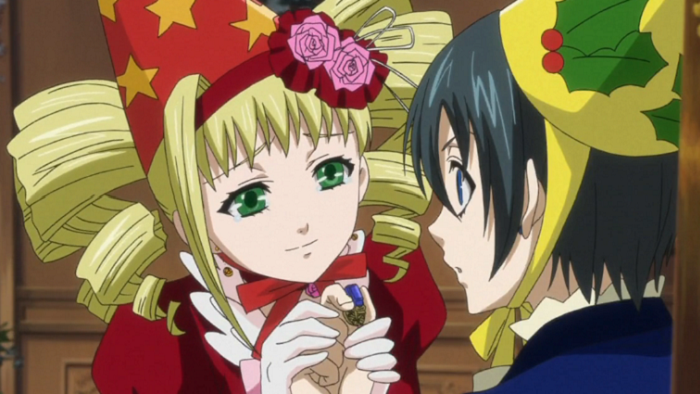 After Ciel disappeared and then returned a year after, Elizabeth was among those overjoyed to have him back. But seeing how much he’d changed, how he never smiled like he used to, Elizabeth wants nothing more than to see him smile like that again. She genuinely wants Ciel to be truly happy again, and does everything she can to coax happiness out of him, from trying to get him to hold a ball on Phantomhive Manor to throwing him a birthday party. As far as Victorian sweethearts go, Elizabther Midford is a cut above the rest. The deredere type might be a fairly vanilla option as far as love interests go, but there's a warm glow about them that always serves to create an entertaining mix to an anime's cast of characters. They're sincere, and they're determined to be happy with the one they hold most dear, even if the affection isn't reciprocated. We admire them for their good-natured perseverance, even when things seem hopeless. Either way, they're a great part of the anime character roster. Anime: Ouran Koukou Host Club, Kuroshitsuji, Ano Hi Mita Hana no Namae wo Bokutachi wa Mada Shiranai., Chuunibyou demo Koi ga Shitai!, Hataraku Maou-sama!, Non Non Biyori, Golden Time, Gekkan Shoujo Nozaki-kun, Ore Monogatari! !, Netoge no Yome wa Onnanoko ja Nai to Omotta?